Here are some songs that remind me of Jordyn. If you have a link to songs that remind you of Jordyn, please send me the link using the contact form and I’ll be sure to include them in the list. Thank you! In 2004, Jordyn accompanied me on my cross country trip to California. On the way, we decided to spend an afternoon at the Field of Dreams in Iowa. As we were driving around Iowa, looking for the baseball field, we had this (below) soundtrack playing on repeat, setting the tone. Upon arriving, we were happy to see just how much the real Field of Dreams looked like the movie. The setting didn’t disappoint. This baseball field was really in the middle of acres and acres of cornfields on all sides. Jordyn and I spent some time on the bleachers and watched the last few innings of a pickup game being played. 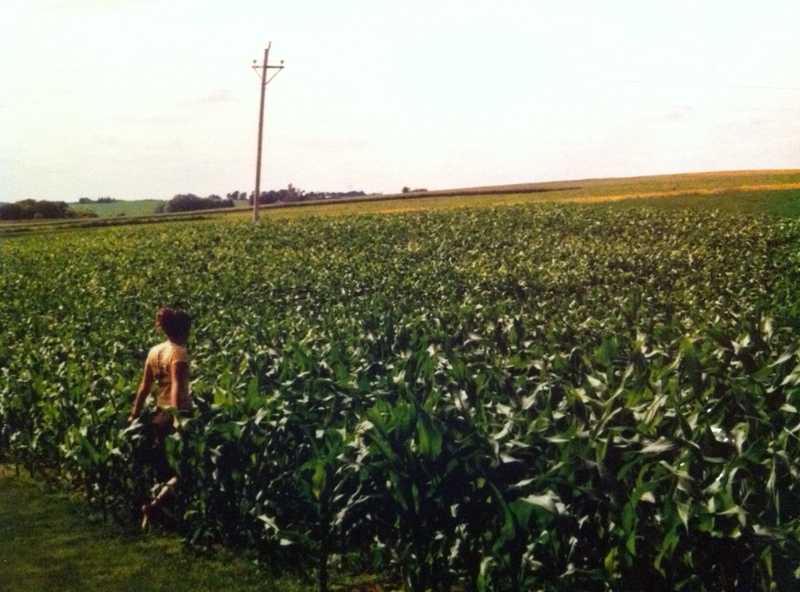 Later, at the edge of the cornfield in right field, we stuck our arms into the corn, half expecting them to fade away. When the pickup game ended, Jordyn and I took to center field and “had a catch.” This music will forever remind me of that great day. It was magical. Jordyn taught me how to play this one on the guitar. She was getting good. We listened to this 3eb song on repeat on the way to the Dartmouth Pride Parade one year. We constantly listened to the Jewel “Pieces of You” cassette tape in our mom’s car.